Founded in 1941, Variety - the Children's Charity of Southern California is dedicated to inspiring hope, enriching lives and building a better future for the children of Southern California. Texas native Wynter Young, 7 years old, is the first kid to arrive at Ballet and Cheerleading practice every week. Wynter lives her life with a cheerful spirit and huge smile. She also lives with Down Syndrome and a severe delay in her gross motor skills, making everything she has achieved so far in life, a miracle. When Variety first met Wynter, she had recently undergone a surgery that left her dependent on her parents to do most things. 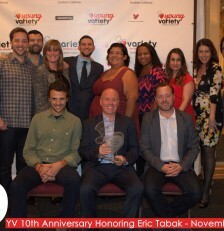 On November 13th, Young Variety of Southern California celebrated its 10th Anniversary with a special dinner honoring its founder and first board President, Eric Tabak. When the World Needs a Hero, It Calls…the Minions! 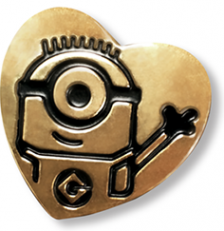 We are so excited for our upcoming 2014-2015 Gold Heart Campaign featuring the Minions! The campaign will launch on November 14, 2014 and run through August 25, 2015, with The Minions being released in theatres on July 10, 2015. 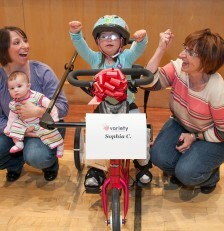 Variety – the Children’s Charity of Georgia believe that every child deserves the opportunity to live, laugh and learn. 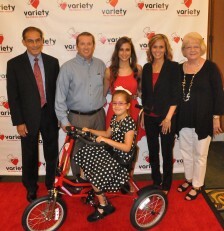 Variety-the Children’s Charity of Georgia’s mission is to enrich, improve, and fulfill the lives of children with disabilities and disadvantages. Their hope is that all children regardless of their circumstances, are able to actively participate in their community and experience all the joys that a childhood brings. 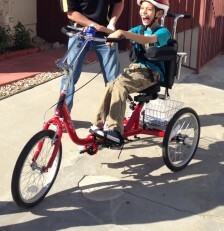 They believe that every child deserves the opportunity to live, laugh and learn. 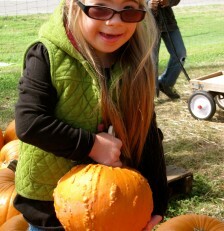 The experiences that many of us took for granted growing up are the ones that Variety makes possible, such as having the opportunity to go Trick-or-Treating in an accessible environment, visiting with Santa Claus in a safe / comfortable atmosphere, and even riding a bike for the first time.